Whether you have a sports injury, back pain, neck pain, or headaches, our goal at Owsley Chiropractic is to get your body back to its optimum state. The following is a list of what to expect when you come to our office. After contacting us and scheduling your appointment, you will have some brief but important paperwork to fill out. Next, Dr. Owsley will sit down with you and discuss what brought you into the office that day. This includes things like pain from a car accident or a fall, headaches, and wellness care. Dr. Owsley can also discuss with you the benefits of preventative chiropractic care. Then you'll receive an exam, followed by on-site X-rays if they are deemed necessary. Your first visit is more about finding out what is going on with your body. The second visit is pretty simple. 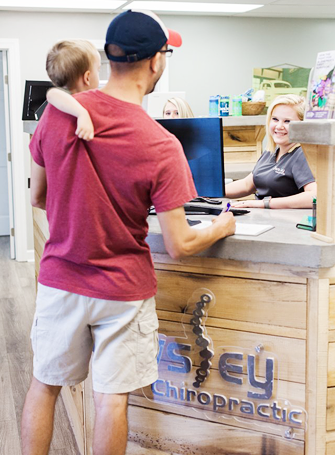 This is the day that Dr. Owsley will go over the findings from your first visit and will discuss what the potential chiropractic treatment options are for you. A personal treatment plan will be laid out for you, and we will discuss both short-term and long-term goals. Then, we create a realistic timetable for you in order to achieve those goals. If chiropractic sounds like the care you need, we encourage you to contact our staff for your initial treatment at Owsley Chiropractic. It's easy to get started! Please email us with any questions or concerns you may have. We appreciate the opportunity to field questions and clear up any concerns you may have prior to your first appointment. 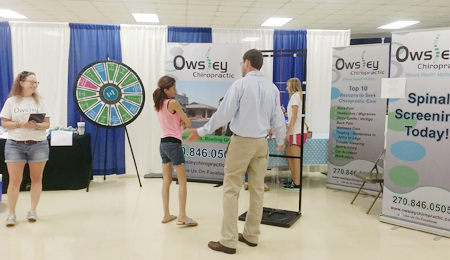 You can contact our staff by email at owsleychiropractic. If you are ready to schedule your initial visit, or if you have a few more questions you'd like to ask our knowledgeable staff, you can contact us by telephone at (270) 846-0505.